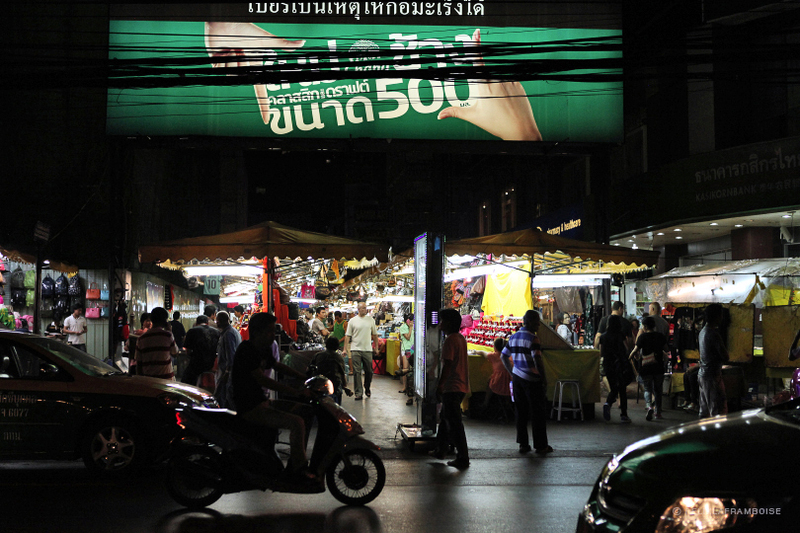 It is almost impossible for a traveler to stop in Bangkok without a tuk tuk driver offering to take you to visit one of the city’s hottest neighborhoods called Pat Pong. 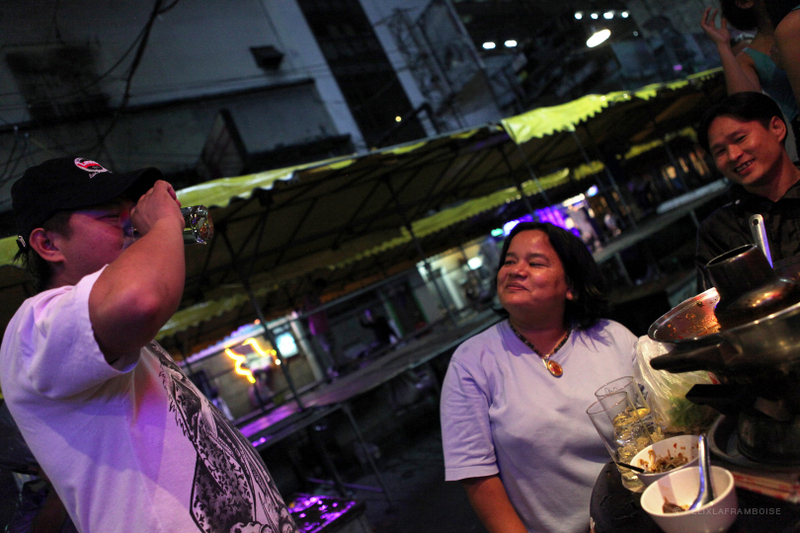 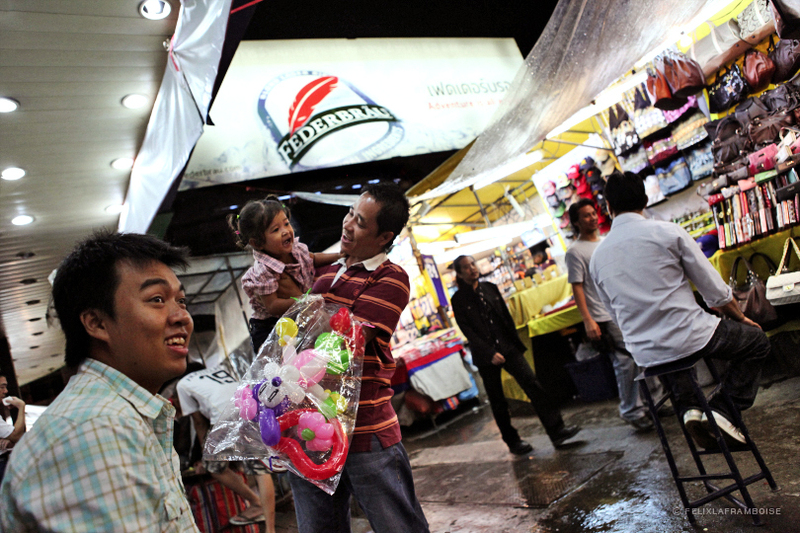 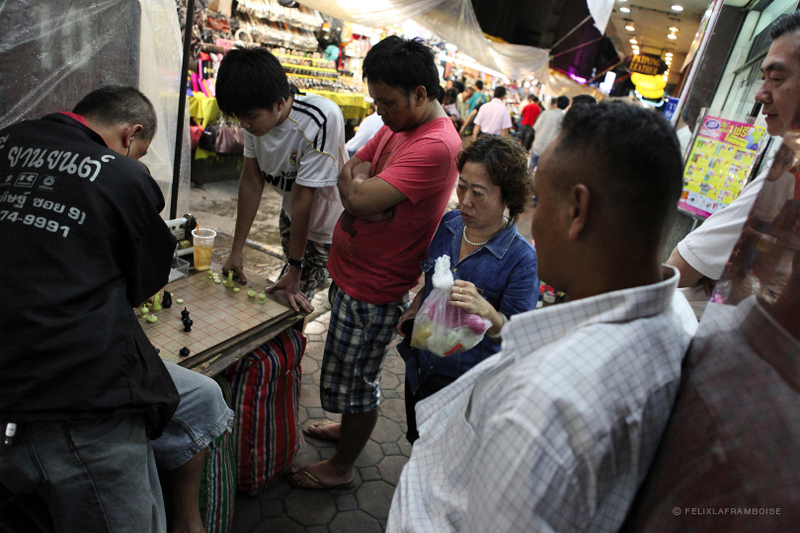 Pat Pong, the kingdom of bars galore mainly capitalizing on sexual tourism, is also a well-known night market. 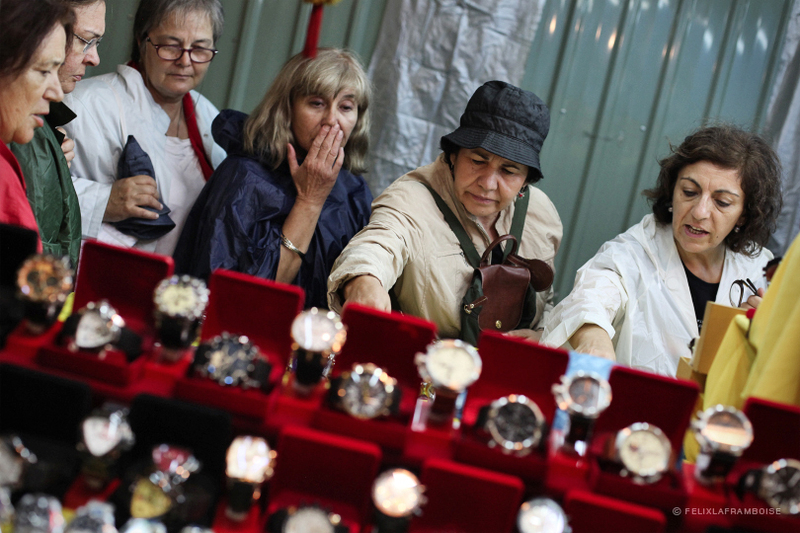 Travelers looking for good deals can purchase various branded accessories. 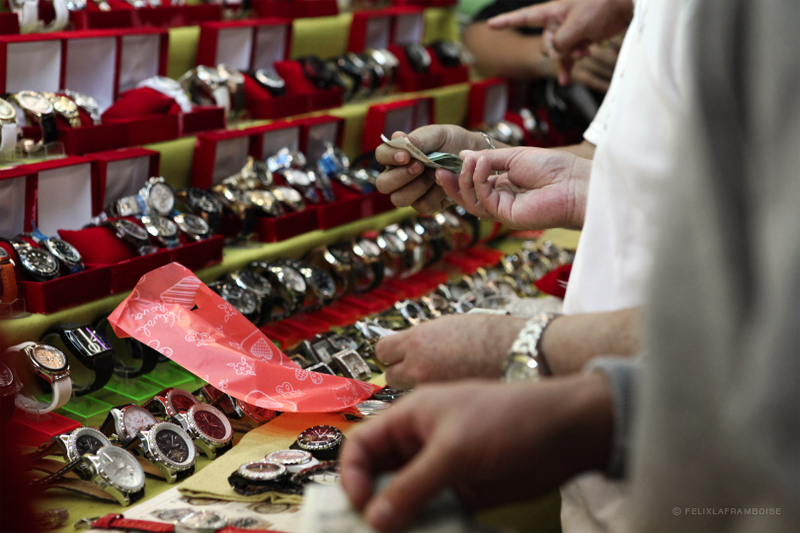 But, be careful… watches, bags, belts, clothing, jewelry and electronic accessories, are all fakes here. 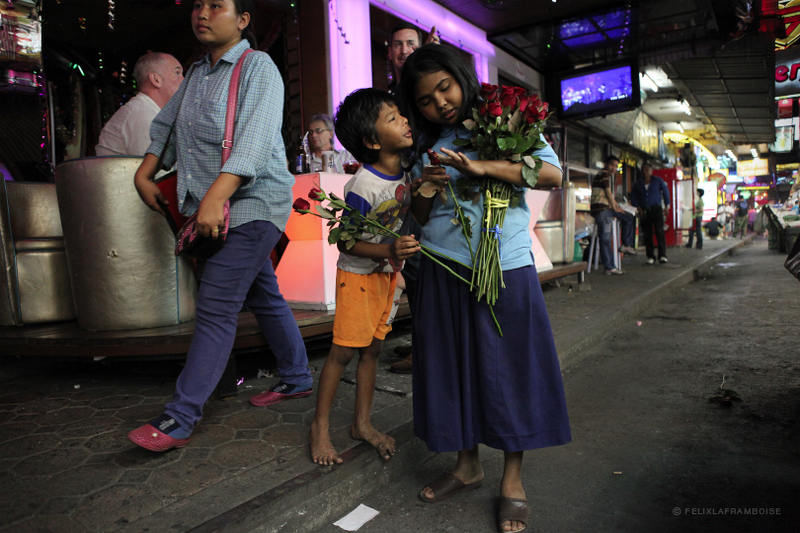 At midnight, the crowd is essentially made up of curious travelers, regular expats looking for nocturnal adventures and “hostesses “wriggling about in front of tourists and businessmen. 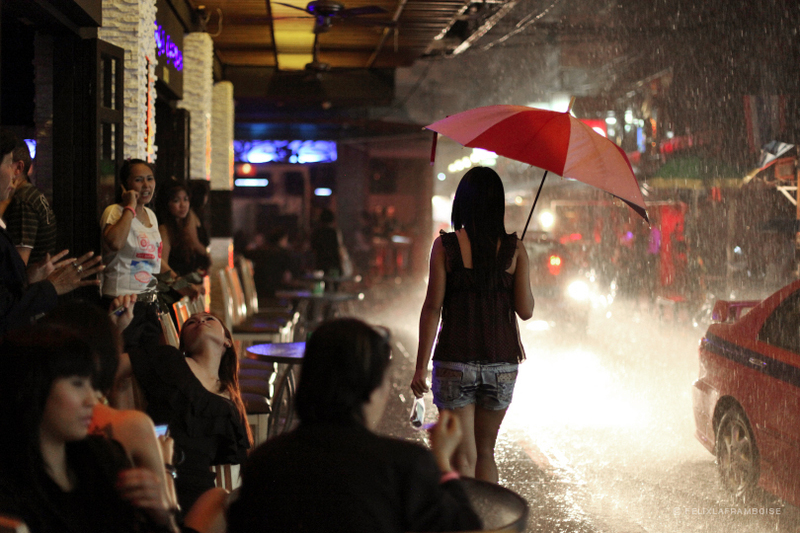 It is the spot for momentary bliss, false hopes and fleeting mirages.